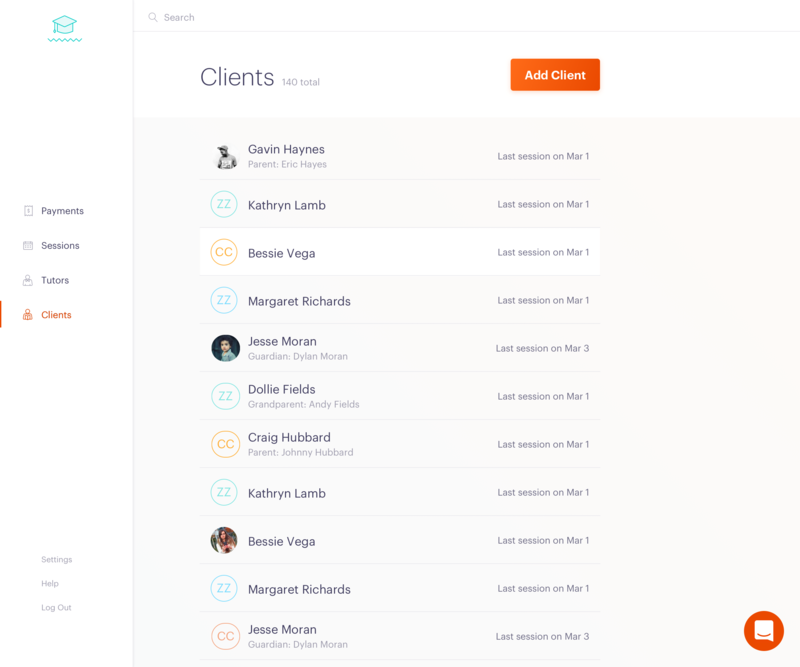 Manage your clients, log sessions, and more. This is where all of your clients' information will live, from client details to information on their parent or guardian. As seen in the column on the far right, you'll be able to view the last session you or a tutor logged with each client. 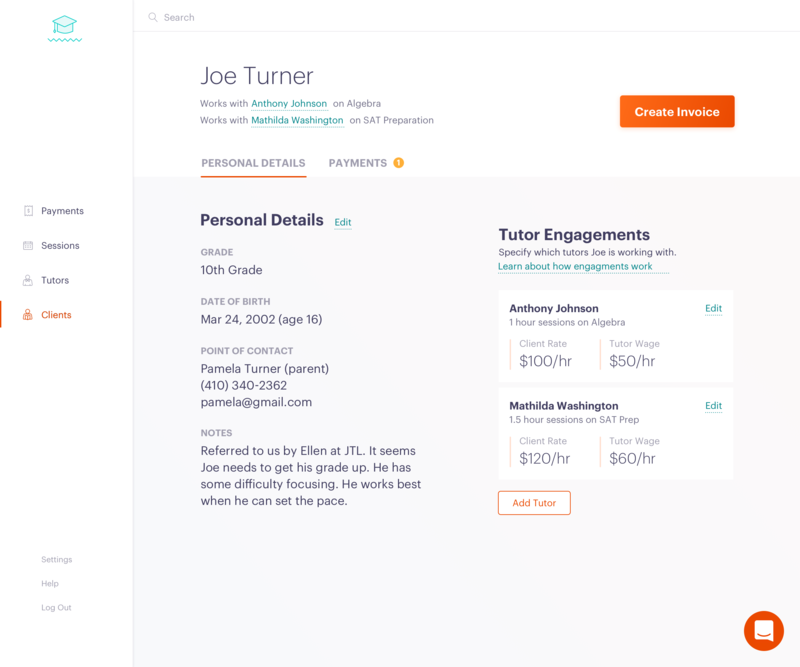 To the far left you'll see a your clients identified by name, photo (if you added one), and parent/guardian information. There's also a search bar at the top of the page for tracking down a client quickly. 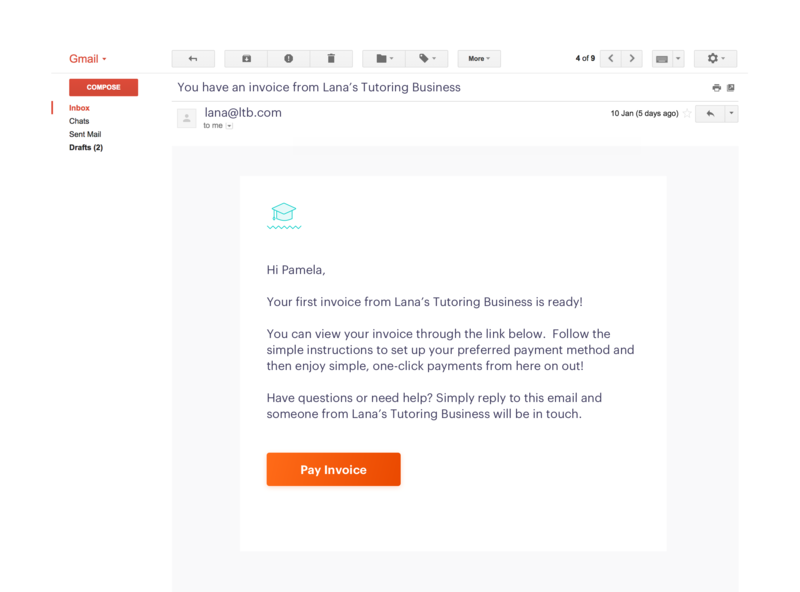 Here, you can do things like add a tutoring engagement or create an invoice. 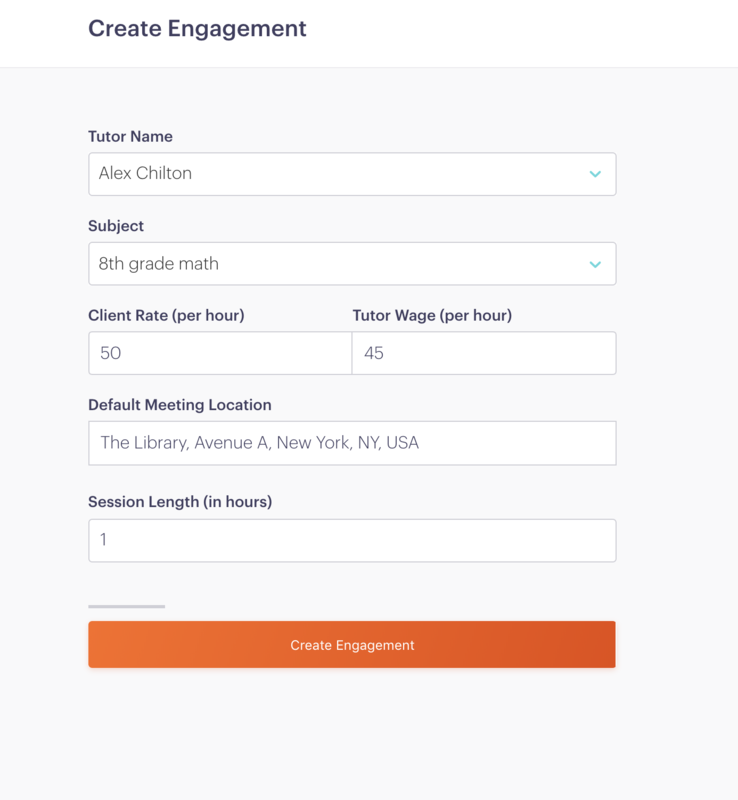 Invoices and sessions are defined by client/tutor engagements, so you'll want to create a unique engagement before billing students. 2. Select the tutor you'd like to pair your client with - in this case the student, is working with Alex, the tutor. Then, identify the subject being taught, Client Rate, and Tutor Wage, and session length. *Note: Clark defines Client Rate as the total fee that your client is charged per session, while Tutor Wage reflects the tutor's take-home rate. While using Clark, tutors are only aware of their wage. They are not showed what their clients pay. As noted in the example above, Joe Turner pays $100.00 for his sessions, but Anthony's wage is $50.00. That means Anthony will be paid $50.00 and your tutoring company will receive $50.00. 3. Select 'Create Engagement' and you're all set! You can start logging sessions immediately. Invoices are used to bill your clients. Our invoices are designed to be flexible - you can send an invoice for as many sessions as you like. If one of your student pays-per-session, you can send an invoice for one session. 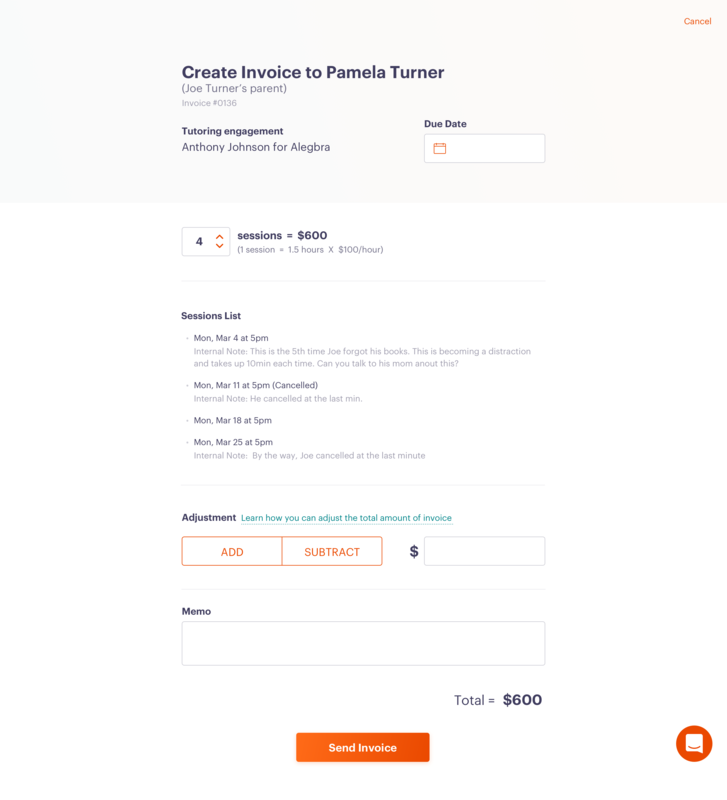 Keep reading for instructions on how to create an invoice from the Client Details page. *Note: Due Dates will automatically default to two weeks from the billing date. You can adjust the date as needed. *Tip: Adjustments come in handy when sessions run over time. 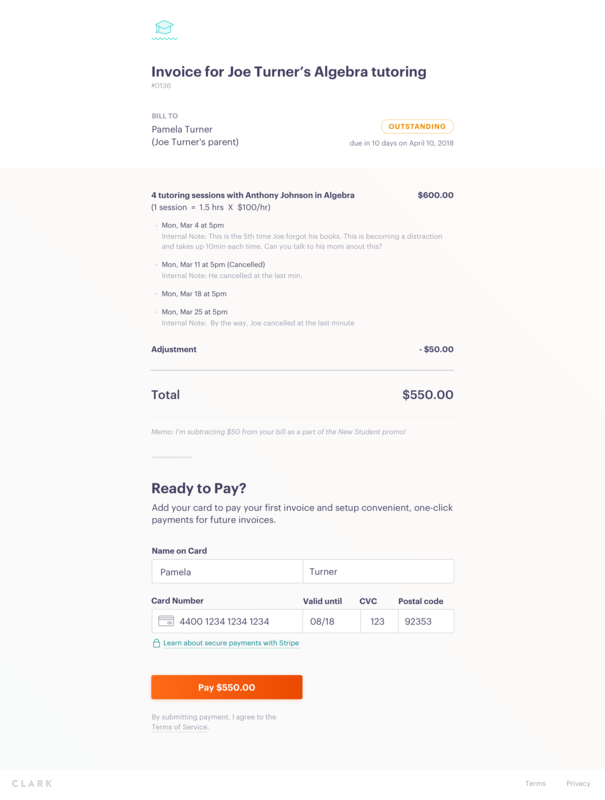 If you were adding an adjustment to this invoice, you would select whether you're adding or subtracting fees, then add a memo to describe the adjustment. 5. Select 'Send Invoice.' Your student or their designated parent/guardian will receive the invoice via email. And be asked to add billing information. You can learn more about how billing your clients in our payments article.